Earthworks has been involved in the design and development of intentional communities for over 30 years. Each project was designed around the specific purpose and needs of the founding community it served. We create every design with the big picture in mind using a permaculture approach to project development. The Earthworks Sustainability Research Center is committed to developing Planning Resources that support best practices in sustainable community development. We assist communities in the design of sustainable models for community growth that incorporate techniques and technologies for environmentally responsible eco-social design. We facilitate communities transitioning into sustainable practices, and help to design new systems and procedures that can be incorporated into future sustainable communities. Enlightened approaches to community development incorporate new systems and procedures which promote sustainable land use, shelter, green energy, food security and a sustainable socio-economic culture. Eco Arts Cooperative – In 1985 we were asked to assist in the development of an Arts Cooperative located in a 30,000 square foot warehouse on Toronto's waterfront. 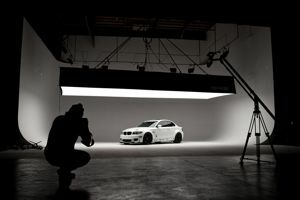 We got involved when it was still a concept and saw it through the entire development process to its launch. The Studio Arts Center was designed as an “arts incubator” to support the growth and development of the communications/arts industry in Toronto. The space was designed using non-toxic VOC-free materials and finishes, and with natural and full-spectrum lighting throughout. It featured a rooftop garden that supplied the in-house restaurant with organic produce and a central RO water system that removed all fluoride, chlorine and other contaminants from the drinking water within the complex. Solar panels provided an eco-energy alternative and backup power for the complex. The Studio Arts Center featured innovative meeting rooms, administrative facilities, along with state-of-the-art gallery space, dedicated studio spaces for graphic design, display design, photography development, filmmaking, audio recording, and rehearsal space. It provided start-up arts enterprises with all the tools, executive mentorship, and operational support to be successful. The Business Incubation and Acceleration Programs provided a unique and highly flexible combination of business development resources, facilities and people, designed to nurture new arts enterprises by helping them thrive through the difficult and vulnerable early stages of development. Eco Business Center – In 1998 we were commissioned to design an eco-business incubator within a rural community in Eastern Ontario. It was designed to support the growth and development of local sustainable businesses. 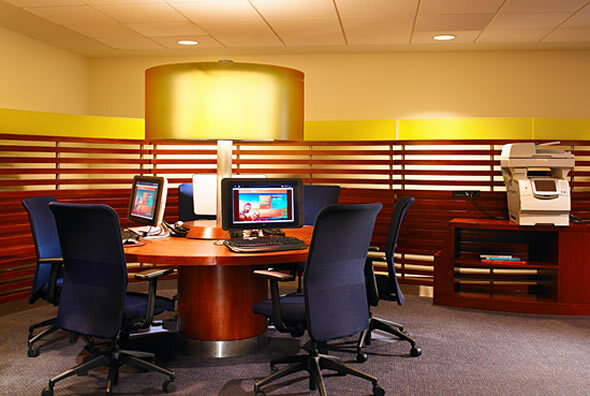 The programming at the center supported the growth of new and emerging businesses by providing access to a wide range of key resources such as business advisory support, shared office equipment, a secure building with 24-hour access, air-conditioned offices, meeting rooms, workshops and participation in a community of successful entrepreneurs. Located just off the 401 freeway, the space was designed to provide multi-function space using non-toxic VOC-free materials and finishes, with natural and full spectrum lighting throughout. It featured innovative meeting rooms, administrative facilities, and a showroom which showcased the unique products and services offered by local businesses. It provided coaching and training resources for startups, along with workspace and operational support to facilitate their success. The Greenhouse Enterprise Centre's Business Incubation Programs provided a combination of business development resources, coaching, and facilities designed to foster sustainable enterprise development. Business incubation optimizes the process of starting and growing companies. A proven model, it provides entrepreneurs with the expertise, networks and tools they need to make their ventures successful. Business incubation programs diversify economies, commercialize technologies, create jobs and build wealth. Eco Education – We developed the site for an eco-educational village in 2004, which began offering indoor and outdoor programs for children and adults in 2005. This Eco Learning Village was designed around permaculture, and it featured an education center, nature trails, workshops, as well as permaculture demonstration sites including a garden, orchard, vineyard, greenhouse and aquiculture project. The main building demonstrated healthy home technology, along with high-efficiency air and water filtration, solar heat and cooling technology, and renewable energy systems. It was surrounded by an edible forest landscape. In the first year, we’d engaged in the planning and development of the site and its facilities. Later, we’d contributed to developing a whole series of courses and workshops for Earthworks Sustainable Living Institute. Recently we’ve been asked to contribute to a planned degree program through Gaia University. We’ve also been asked to design facilities to accommodate educational programs which will incorporate the latest techniques of accelerated learning through holistic action-based education. 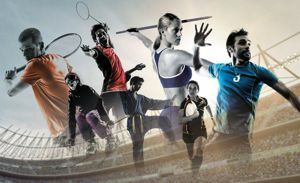 Eco Sports Complex – In 2006 we were invited by Multi Sport International to be part of the team developing the 800-acre site for a world class Multi-Sport Complex. Part high-end competition, training and event facility, part accommodations and wellness complex, this highly specialized village was designed to exceed LEEDS environmental building standards, while also creating space optimized for health and performance. The "Multi Sport Centre" was designed to provide elite athletes the best of all worlds with multiple Olympic-level competition venues, developed next to an athletes’ village that featured state-of-the-art training and therapeutic facilities designed to support a wide spectrum of sports medicine and holistic wellness services. The Eco Fit (athletes) Village was our focus, and brought all the support services for athletes together within the complex, with the training and wellness center located adjacent to specialized accommodations which were crafted as restorative space - designed to optimize rest and relaxation while enhancing athlete’s health and performance. The athletes’ cafeteria was designed with a rooftop greenhouse and a state-of-the-art kitchen. The facilities of the Eco Fit Village section was designed to integrate with an adjacent "Sport Development Complex" featuring a full-time international sports education campus, with educational and training facilities for a private college providing high-school to university level curriculums in conjunction with high-level competitive sports training. This is a billion-dollar project involved the engagement and participation of a vast mosaic of partners. Earthworks was contracted to co-ordinate the design of several components of the complex including the wellness and hospitality facilities of the Eco Fit Village, as well as the educational facilities for the college and the permaculture landscape design for the 800-acre grounds. This world-class facility will be the largest and most comprehensive sports complex in the Americas, and the first in the world - designed from the ground-up with sustainability at the forefront of the development criteria. Our relatively small portion of the design work represents the largest design project we've undertaken, involving specialists and consultants from four continents before all the designs were complete. The Multi-Sport Complex has been in the works for well over ten years, and the design process we were in charge of took our team over three years to complete. The project has now moved to the final approval stages, aligning government agencies with funding and operational partners. 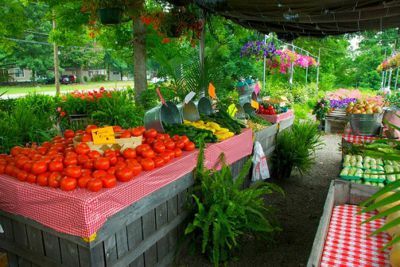 Eco Farming – It makes both good health and good financial sense to consume organic, pesticide-free whenever possible. This not only includes produce, but also meat, fish, poultry and dairy products. All animal foods are best raised free-range, organically fed, and free from hormones. In 2008 we’d found the perfect site on which to create an organic food-producing Eco Village. This Eco Growing Village was located on a spectacular piece of gently rolling organic fields. The topography sloped gently south down to form a valley which features both a river and ponds. The property has over a kilometer of road frontage, and over half a kilometer of river front. Below the river and south of the property, there is a vast area of wilderness teaming with wildlife (mostly privately owned). This land is a mix of forests with many small lakes, adding rich biodiversity to the local area. The land itself provides a perfect canvas on which to create an agricultural permaculture community. One of the objectives of this community went beyond community food security. Its aim was commercial organic agriculture. To accomplish this and still maintain the aesthetics of a wild and natural landscape, only half of the 75-acre project was needed for food production. The rich organic, sandy loam fields were ideal and the mature tree-lined wind breaks also provided visual breaks between residential and agricultural land use. We’d designed several cropping methods into the plan that would support a very wide variety of crops, ensuring food security for the entire community with over 70% of the yield still being available to be sold at the local farmers’ market. 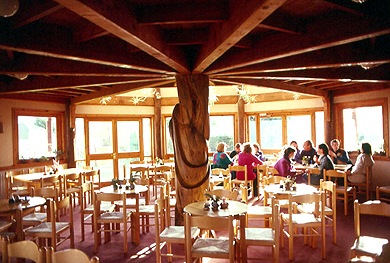 Eco Retirement – In 2010 we’d found the perfect site for an Eco Elder Village, which incorporated multiple living units along with edible forest parkland, and recreational facilities developed in conjunction with a natural healing center that offers a variety of therapeutic resources to community members. This world-class retreat program can be truly life-changing, as we empower our clients with the knowledge and skills to create optimal health. Our organic gardens also provide an opportunity for residents to experience the benefits of a “Living Food Lifestyle”. Within the Oasis Eco Village are arts studios that provide creative outlets and venues that attract many community and school events as well as entertainment and social events that keeps the residents of the village engaged and involved with stimulating community activities. This community is designed to surround its adult and elder residents with the kind of healthy and productive lifestyle which has been shown to increase life satisfaction and extend life expectancy. This is another example of a purpose focused community design that works to the benefit of its residents..
Eco Health Retreat – In 2012 we were asked to locate and design the perfect site for the first of a series of Natural Healing Center's with national franchising in mind. We found the perfect location on Lake Ontario next to a provincial park just an hour outside Toronto. The platform is a high-end Bed & Breakfast which provides luxurious short-term accommodations for clients that want to immerse themselves in a comprehensive natural-healing program. Each guest is provided with a custom-designed diet and healing regimen that optimizes the benefits of their stay. We created the permaculture landscaping, the healthy interior design, and the ergonomic layout of the property along with organic herb and vegetable gardens to supply the kitchen with what it needed for a full compliment of seven healthy dietary regimes. This unique Health Retreat offers comfortable private suites with many amenities. Guests enjoy the facilities by the lounge, sauna, steam bath, hot tub or pool. 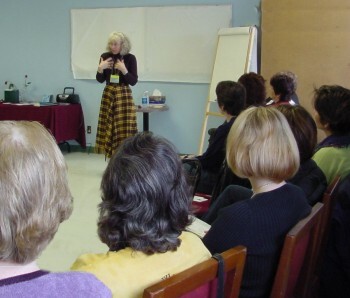 Clients can take advantage of ongoing natural health workshops and seminars, which can fill their day with healthy learning that can last a lifetime. Guests can step outside to the private edible forest landscaping and nearby nature trails, to participate in bird watching or hiking. They can also explore the permaculture gardens and special spiritual walkways. This was a holistic health and permaculture design project with an altruistic yet commercial objective which worked very well. Serenity was fully booked within 3 months of opening, and provided the proof-of-concept that has now fueled the franchising of the concept across the country. Additionally, we've also contributed to the Franchise Development Model that will be used as a template for future locations. Eco Creative Community – In 2013 we'd worked with a group of artists to develop a resource center for the arts in a small town in Eastern Ontario. We found a perfect low-overhead location in a local industrial park which could be converted as a center to support an Artists’ Community. Over a few months, we'd developed a facility that offered both an Exhibition Center with Gallery, a Theater, as well as a Workshop where creative arts classes and seminars could take place. The facility was designed with several multi-function rental spaces, developed for artists in the community to access specialized space and gear for projects they were developing. This is a brand-new type of Arts Center venue, which incorporates great atmosphere, wonderful acoustics, a concert sound system, theatrical stage lighting, high-definition projection, dance floor, catering, on-site photography & video services, plus lots more! It's a creative community incubator that within 6 months of opening, was supporting the work of dozens of individual artists, and over 16 local arts organizations. Eco Grow Op – In 2014, we were asked to create a permaculture design for a Commercial Grow-Op on a 25-acre parcel of gently south-sloping organic farmland. It was to provide optimized field culture for high-yield boutique organic crops, as well as an indoor greenhouse facility. An Earthship was designed into the plan which featured a self-heated and self-cooled growing space, that also provided its own water supply and organic soil supplements. The site plan accommodated natural soil enrichment and water management systems, along with a highly-profitable cropping and land use strategy. 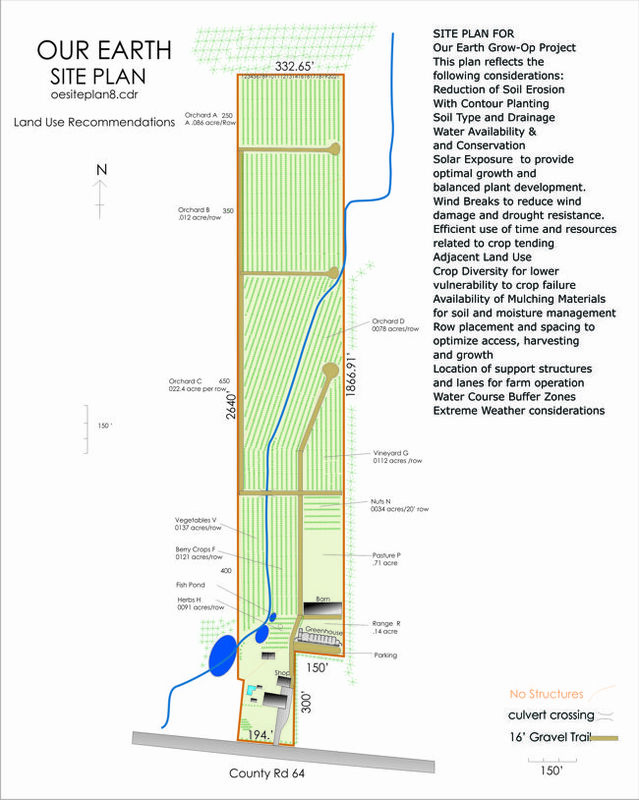 The 132 page design report and business plan for this project included a highly diverse crop plan that not only considered optimizing yields, but also matched the drought and flood resistance of specific crops which were affected by varying soil and typographic conditions along an existing seasonal creek. The plan considered dozens of factors to optimize the resiliancy and productivity of the plantation. 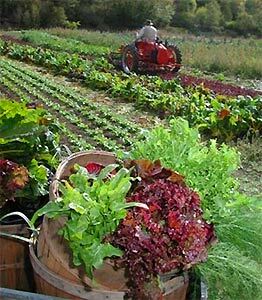 The permaculture plan offers long-term results in terms of robust and productive edible landscapes, and cropping systems that consistently produce better and more profitable harvests year-on-year. As a result of careful research and planning the Business Plan for this project was able to employ all the efficiencies inherent in good permaculture design, and resulted in a very high return per acre. The perenial crops for this project were chosen to be idealy suited for the site and carefully selected for thier high nuturitional value and high market value. As a result in spite of the fact that the opperation is completely organic and at times labour intensive the input costs are comparable to or lower than a conventional farm but the income projections per acre represent some of the highest in the food industry. That is just one of the benifit of good permaculture design! Eco Living Village – In 2016 we found a location for a wonderful waterfront Eco Living Village on an island in the St. Lawrence River - a 15-minute ferry ride from downtown Kingston, Ontario and only a 5-minute ferry ride to New York State. Nestled in the Thousand Islands, this village is located on the shores of Wolfe Island. It has been designed and developed to accommodate up to 18 homes, and edible forest parkland as organic gardens, recreational facilities, a dock, boat launch, camping, and swimming areas. This Eco Living Village provides the best of two worlds. 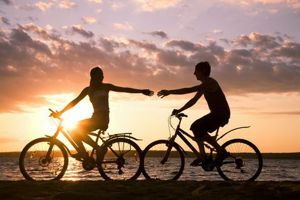 It provides both a healthy and sustainable lifestyle, and a holiday resort atmosphere in a beautiful rural setting minutes away from all the resources that a city has to offer.